China’s Yulong Coolpad: One to watch for 2014? In the world of Chinese smartphone makers the name on everyone’s lips at the moment is Xiaomi, but how many of you have heard of Yulong? Well, it’s a name which may well become more familiar to tech-watchers in 2014 if its sales predictions for the year turn out to be more than the usual new year marketing hype. 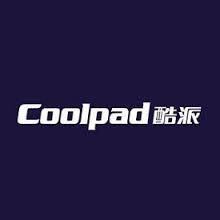 The Shenzhen-based firm, which is slightly better known under its Coolpad brand, said it’s hoping to shift 40 million 4G handsets this year in China, in addition to 20m 3G devices. Some local media reports have the company claiming this will help it topple global leader Samsung in the 4G stakes, even though the Korean giant is currently way out in front in the Middle Kingdom with a market share of nearly 20 per cent – almost double that of Yulong. They would appear to be a combination of mis-reporting and vendor hype, though, as Samsung told me it hasn’t even released any predictions on how many 4G handsets it will sell this year. That aside, however, Coolpad has been gradually creeping up the smartphone rankings in its home country over the past few years, largely without the media attention that has greeted Huawei, ZTE, Lenovo and, of course, Xiaomi. That might be because it has neither Xiaomi’s flair, Huawei’s big bucks, nor ZTE’s propensity to court controversy. It’s currently third in the rankings just behind Lenovo, according to IDC stats for Q3 2013. If it’s to continue to climb it’ll need to make sure it’s competitively priced relative to Samsung, around the 1-2,000 RMB mark, IDC’s Bryan Ma told me. Apart from that, “speed to 4G” will also count, he added. To this end, Yulong has already struck a deal with China Mobile to sell its TDD/FDD-LTE handset the Coolpad 8920 and there’ll certainly be more to follow. So will the firm join Huawei, ZTE and others in aggressive overseas expansion? Well, it already is selling in markets like the US, but headway there has been more difficult given its low brand recognition. It might have overtaken Apple in the Middle Kingdom last year but 2014 will be a tough year for Yulong and its parent company China Wireless to make an impact abroad – that is, outside of emerging markets where the appetite for cheap smartphones is greater.